When looking for a large fan to move lots of air there is none better than the Phoenix Axial Air Mover. There are many different styles and options when it comes to buying an air mover and knowing what you are looking for will certainly help you make your decision. Since the market is full of equipment with different options, speeds, amp draw and different style housings you may need to narrow down what is most important to you before buying a . Below is a list of the features of an air mover that should be considered by most contractors when purchasing new equipment. 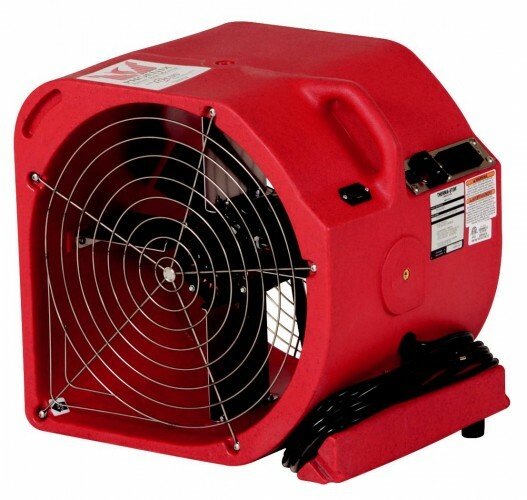 The Phoenix axial air mover is a great choice when looking for a large fan. While this air mover is mainly meant for the water restoration business it can also be used for other applications. The air mover only pulls 2.5 amps of electricity while producing over 3000 cfm of air. This is a large amount of air for a small unit, which means that it will rapidly dry walls, floors, or just move a lot of air through an area quickly. This fan also comes with some extra features that are real nice to have. It has daisy chain capability, so that you can plug in other fans to it or other pieces of equipment. There is also a 20 ft. cord on the air mover. This along with the daisy chaining capability will help eliminate extension cords on jobs. Another great feature of this large fan is a light to let you know it is on. This comes in handy when the air mover is sitting in a dark area and maybe you have multiple ones running you can just glance through the room and make sure they are all still running by looking for the light. This unit also comes with a built-in GFCI for extra protection. 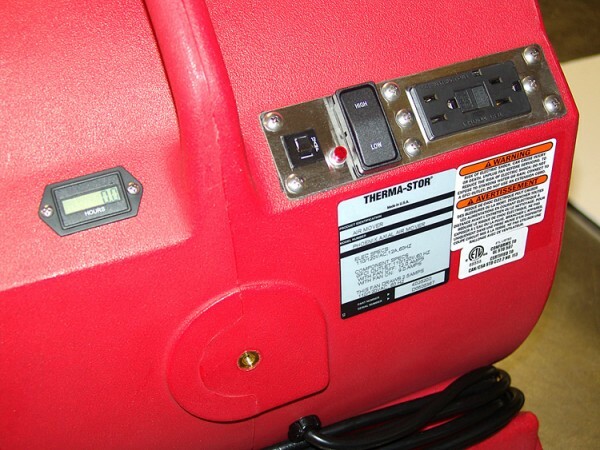 Besides the GFCI there is also an onboard circuit breaker so whether you are using the air mover by itself or daisy chained to other units the onboard power management system will really come in handy. The two speed unit has stainless steel grilles, a nice cord wrap, and units are completely stackable with an interlocking lightweight and compact linear low density polyethylene (LLDP) housing when not in use. The housing is also washable for ease of cleaning before storing. Lastly, there is also an hour meter on this unit which comes in handy when you need to track the time it spends running. So with all the different models and styles of large fans on the market the Phoenix Axial Air Mover stacks up well against the competition. Compare all the features and you will see that when large volumes of air are needed to be moved this unit can do the job, while also providing you years of dependable and reliable service. The Phoenix Axial Air Mover the one to buy. This article was published on Monday 18 March, 2013.